The Kennels of Avondale is now Three Shepherds K9 Kennels! Our kennels are a premier boarding facility in Avondale PA. We’re local to Landenberg, Hockessin, Newark, Wilmington, and other areas in southern Chester county. Click to learn more! Our professional groomer will make your companion look more dashing than ever! Whether you need a full clip down, or just a nail trim, we can provide services that you need and that your pet will enjoy! Training is our specialty! We train at all levels, and focus on dog psychology, balance, and energy, similar to The Dog Whisperer. In fact, we’ve trained with him! Click to see how we can help you understand and control your dog! 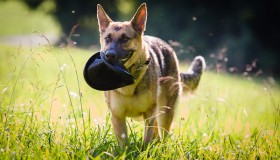 Three Shepherds K9 are professional dog trainers and behavior specialists. 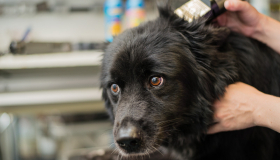 Whether you need boarding at our dog kennel, grooming, at home training or class training, you can rest assured that your companion is in the hands of a caring professional! 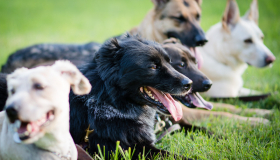 We provide dog boarding, grooming and group training sessions at our facility, Three Shepherds K9 Kennels, formerly The Kennels of Avondale, in Avondale, Pennsylvania. We provide in-home training services in Pennsylvania for southern Chester county (we’re located right in Avondale and are close to Kennett Square, West Grove, Landenberg and vicinity) and the greater Philadelphia area, and in Delaware for Hockessin, Newark, Wilmington, and New Castle County. We also service nearby parts of Maryland. For boarders, you can leave your companion at our kennel and have peace of mind knowing that he or she is in the hands of a true professional, and an animal lover! With professional dog trainers on staff, we can also handle dogs that other dog kennels can’t. Our runs are spacious, and provide plenty of space for your pet to relax or exercise during their stay. If you’re looking for the best pet styling and spa treatments, you can trust our professional grooming staff to deliver! WE have the experience to handle all breeds. Save time and schedule grooming while you’re boarding! If you need training, we provide training at all levels of experience, from basic obedience to advanced off lead work and protection training. We understand that dog training is more than just the dog: we train you to keep your dog in control, and assess your home to address any issues that may be related to the environment. In home training is tailored for individual clients, and we can cover any topic that you need.